Add vodka, vermouth and ice to a martini shaker, and shake well. Strain into martini glass. In small bowl, mix corn syrup and red food color. 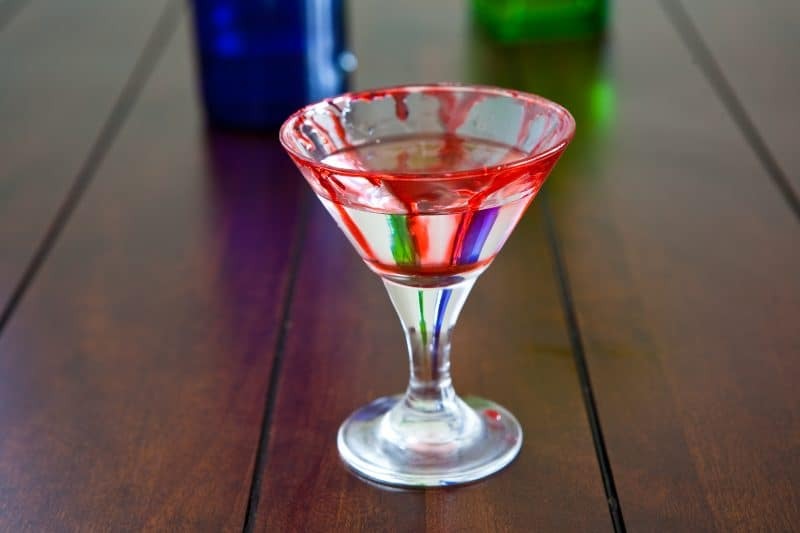 Use fingertips to dip into red corn syrup, and rub around rim of martini glass, dripping the "blood" around the glass and letting it drip down into the drink.